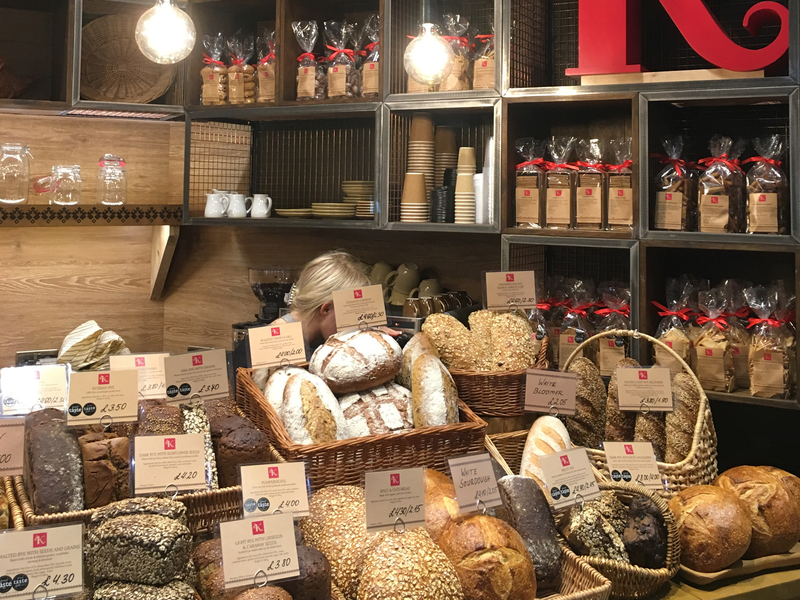 January 2019: We've added Covent Garden's Balthazar Boulangerie. It's not a newbie, but a stalwart of the London baking scene that fully deserves to be on the list. Whittling down the best dough in the city is no mean feat. 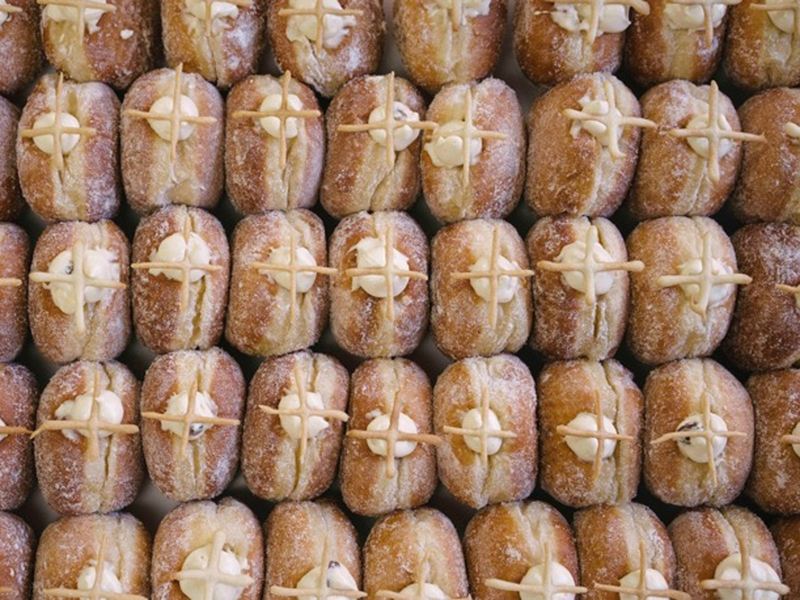 From Asian patisseries to cronut auteurs and sourdough specialists – when it comes to bakeries, London is a goldmine. We’ve risen to the challenge and eaten our way through the lot to round up yeasty royalty. Quite literally, actually – because the boujie Hackney bakery that did Harry and Meghan’s wedding cake has made the cut. 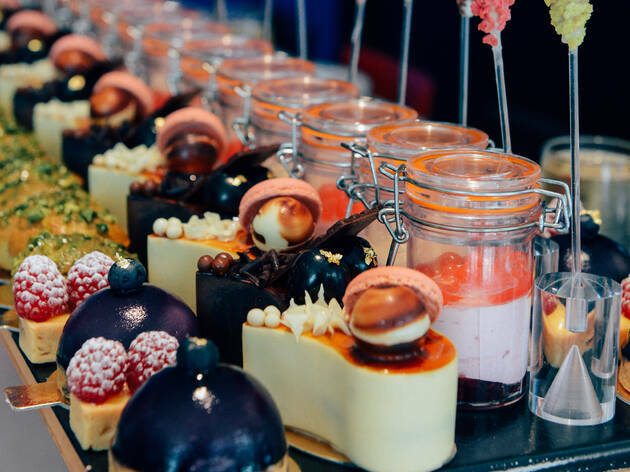 If you want a showstopper for any special occasion (including weddings), the clear choice is arty pâtissier Anges de Sucre, who supply Selfridges. Their cakes are insanely detailed and decorated with everything from lacy Swiss meringue buttercream and white chocolate pearls to multicoloured macarons and ombré-glazed buttermilk doughnuts. Don't miss: Their watercolour-cake collection is a masterpiece designed to steal the show. Pitched next door to Balthazar’s whizz-bang Francophile brasserie, this cracking boulangerie not only supplies the restaurant with artisan breads and delectable pastries, but also feeds Covent Garden’s hungry hordes with home-baked treats – plus sandwiches, salads and more besides. They deliver locally too. Don’t miss: Their seasonal ‘galette des rois’ (or King Cake), served from Epiphany onwards. Each gorgeous frangipane confection comes embedded with a ‘rève’ (a tiny ceramic figurine), and the person who finds it becomes king for the day, sporting a golden cardboard crown. “Knowledge is to be shared.” That’s the simple, beautiful premise of the world-class, nearly faultless Bread Ahead bakeries, where recipes are written on chalkboards for all to see and secrets are openly shared at their extensive bakery school. 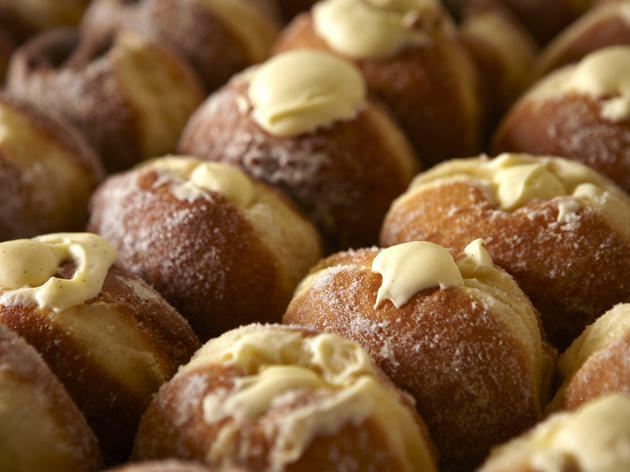 Don't miss: Try their award-winning doughnuts, overflowing with silky chocolate and salted caramel, or the amazing amaretti biscuits. The award-winning bread enthusiasts at Brick House produce and serve up San Francisco-style sourdough and season-specific menus in two trendy, airy cafés (in East Dulwich and Peckham Rye). 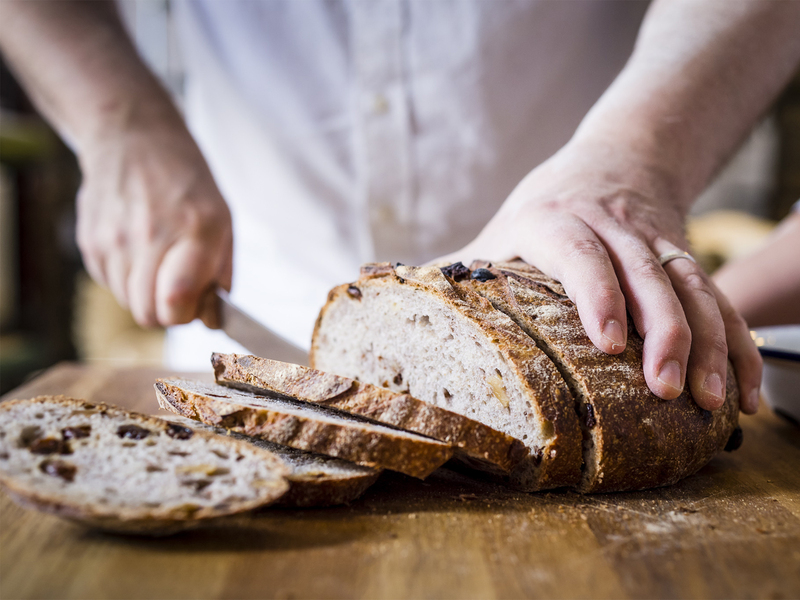 Don't miss: The naturally leavened sourdough (which you can learn to make at home at their ‘Sourdough in a Day’ bakery class) is always a winner, and when in season – so are the crumbly mince pies. A chic pâtisserie near Wandsworth Town, the menu at Cake Boy changes according to how the pâtissiers feel ‘when we wake up in the morning’. This passion shows: staff are delightful, savouries are exquisite (think posh savoury muffins), and there’s an extensive selection of macarons. Don’t miss: The heart-stoppingly rich black forest gâteau; the cherries on top adorably decorated with gold paint. 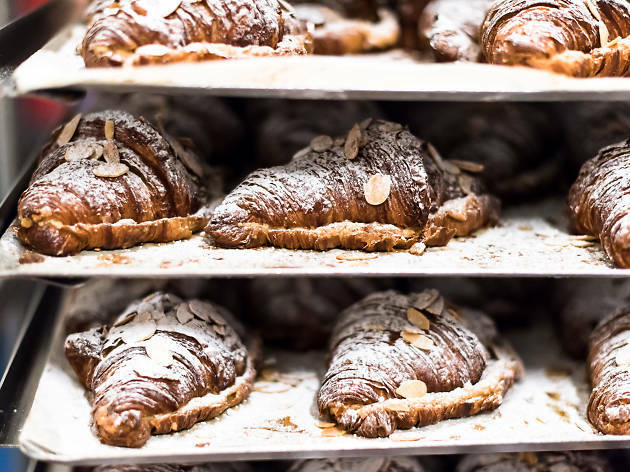 This family-run, old-world French pâtisserie supplies charming viennoiseries. 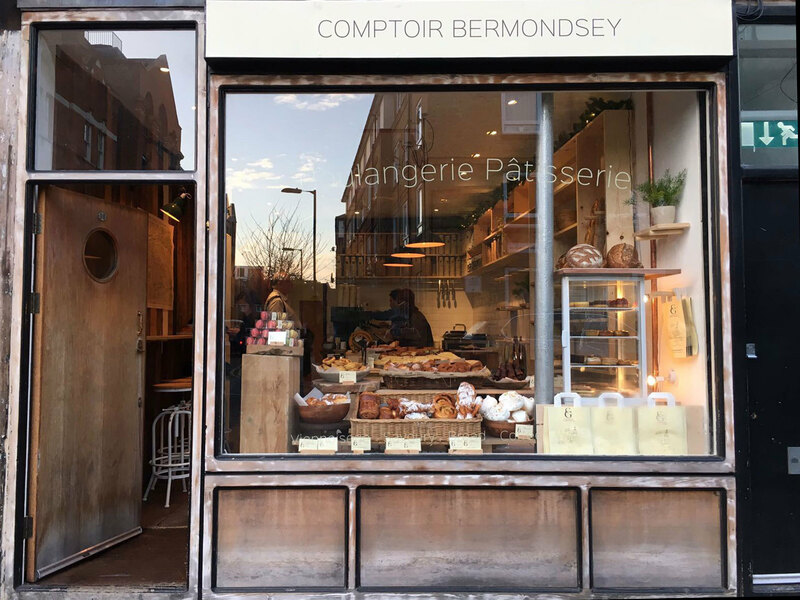 They have an open-plan café by their stall at Maltby Street Market, and another in Bermondsey Street, which serves wine and charcuterie by night. 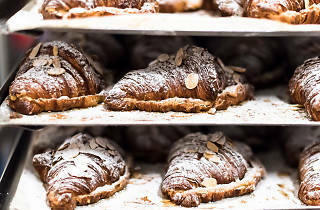 Don't miss: Any of the viennoiseries, especially the pain au chocolat twists – all made by hand in traditional French fashion. 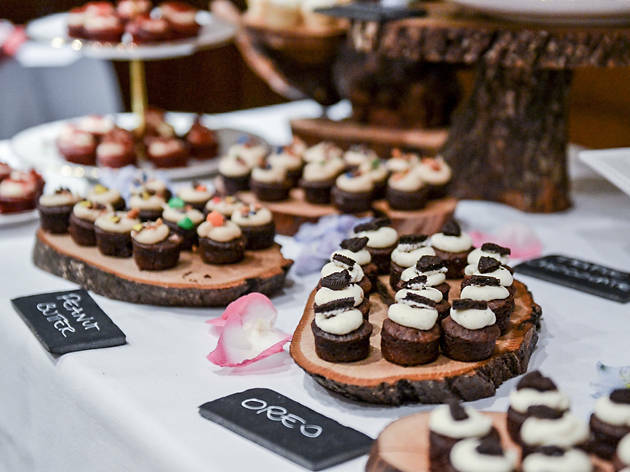 Playful, innovative and wondrously delicious, Dominique Ansel is a French Willy Wonka who’s worth the hype and accolades (including being named the World’s Best Pastry Chef in 2017). Don't miss: Everyone has a favourite: Start with the signature Cronut that takes three days to make. 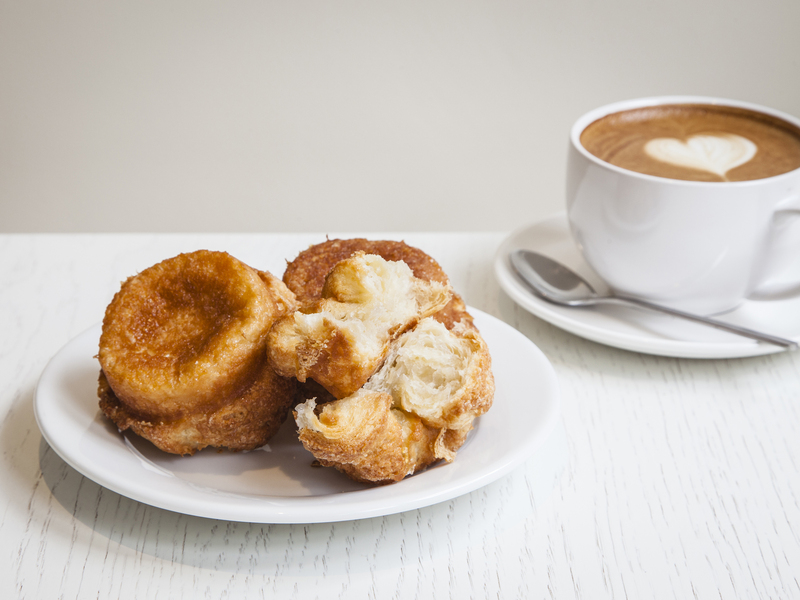 Don’t miss the crispy caramelised DKA (short for “Dominique’s kouign amann’) or a slice of the creamy banoffee paella. 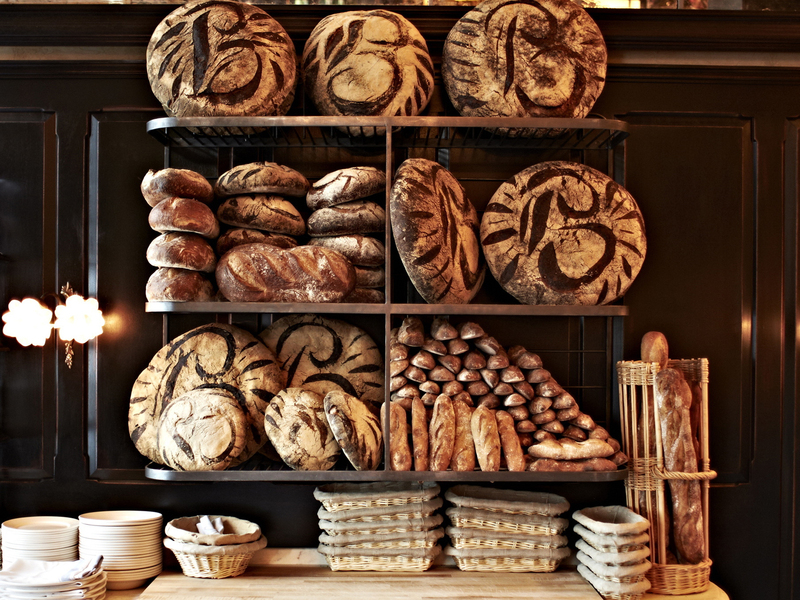 This independent, organic bakery and café has its own stone mill and uses only local grains and the finest ingredients to craft fresh, nutrient-rich loaves, almost all of which are borne of 100 percent sourdough starters. Don't miss: Sit at the wooden tables and order the multigrain toast with a range of tasty toppers including homemade peanut butter and preserves. 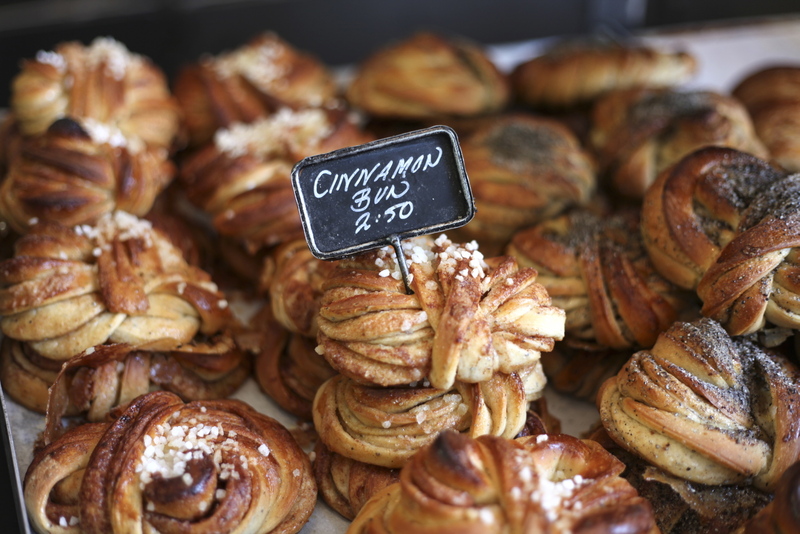 This Stockholm-based bakery chain (with teeny-tiny seating areas) uses stone ovens to whip up old-fashioned Fika-favourites in minimalist, Scandi settings around London. 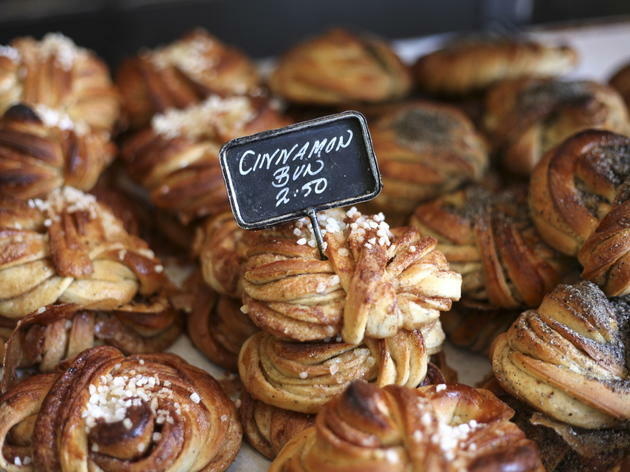 Don't miss: Sample the highly addictive Swedish buns (especially the blueberry and the classic cinnamon). Also, don’t skip out on the handmade, flour-dusted levain baguette, which is good enough to eat on its own. 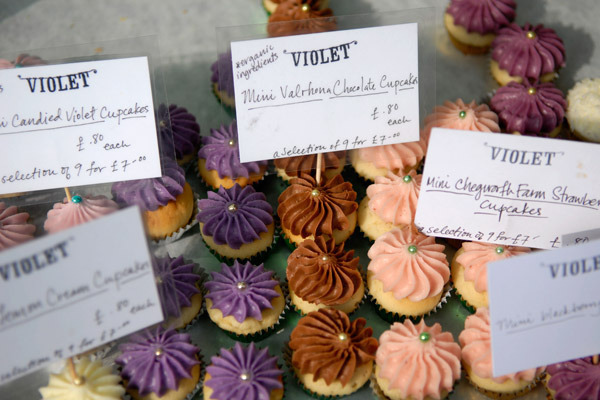 FairyPan provides fairy-like cupcakes to more than seven stores, including Harvey Nichols. Even though these cupcakes are itty-bitty (with three-centimetre diameters), the Italian sponge base packs a taste punch. Don't miss: Lemon-lovers must try the tangy and tart lemon meringue cupcake with a lemon base filled with lemon curd, and then topped with a swirl of lemon buttercream and meringue crumbles. FairyPan can be found at Brick Lane's Backyard Market. Opening Hours: Saturday 11am till 6pm; Sunday 10am till 6pm. 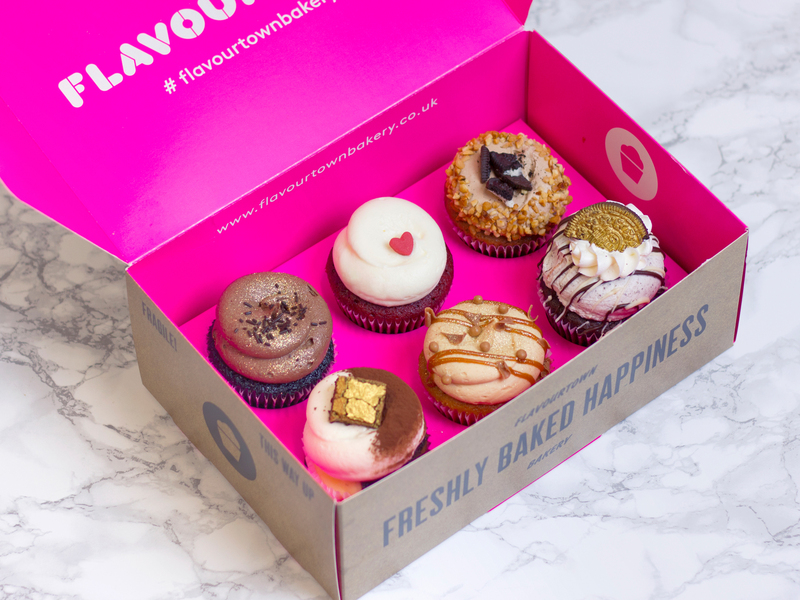 From the cartoonish bubble-letter logo to its vividly coloured layer cakes, Flavourtown Bakery is irresistible. Stuff your face with a Posh Peanut Butter Cupcake (topped with gold-sprayed mousse) or a fat wedge of icing-lashed Cinnamon Bun Cake. Don’t miss: The Cookie Sandwich: white-chocolate-studded cookies filled with cream cheese icing. 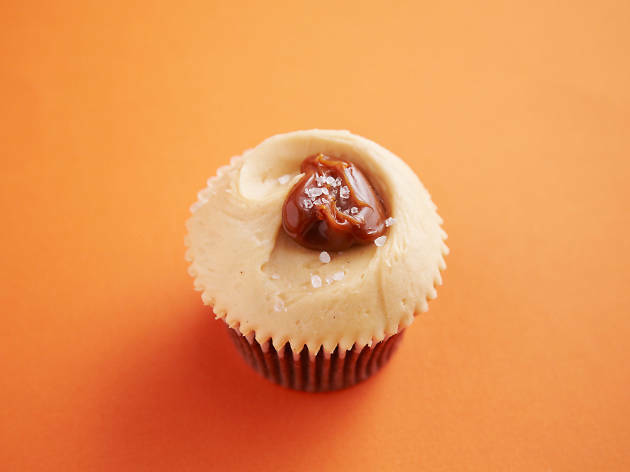 The Hummingbird Bakery is an American-style outfit with locations all over London, featuring brightly coloured, cutesy cupcakes in monthly flavours like gingerbread and sticky fig, as well as American mainstays like red velvet and Oreo. Don't miss: Their Instagram-worthy, six-layer cakes have a respectable frosting-to-cake ratio and the mile-high chocolate salted caramel cake will slake anyone’s sweet tooth. One seriously good reason to go to Westfield Stratford, this branch of the cult Eastern European bakery gives out heaps of samples. Good, because you’ll be overwhelmed by choice. Multi-award-winning rye is the speciality, but make sure to scarf the honey cake and the biscuits, too. Don’t miss: The traditional Lithuanian scalded rye. So dark and so, so dense. 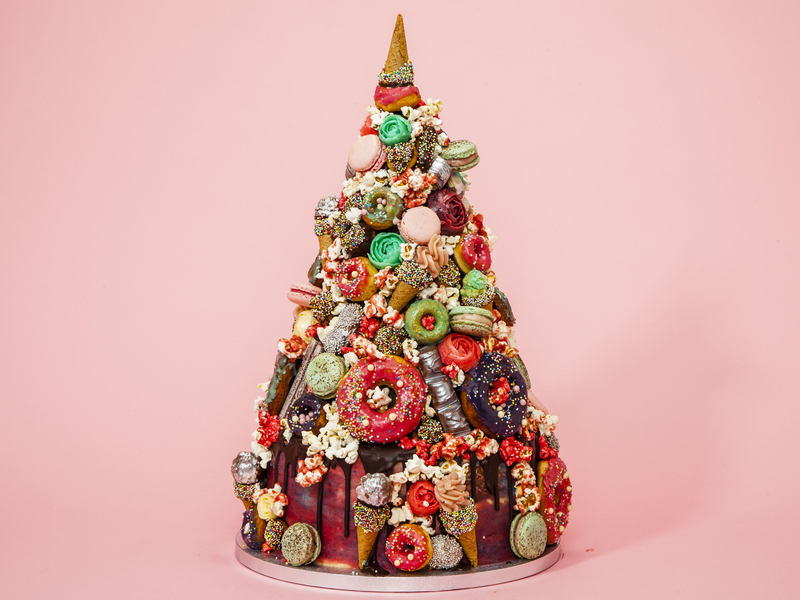 Hip east London bakery Lily Vanilli serves an ever-changing selection of cool and creative works of art, bedecked in gems of fruit, delicate petals and fronds of foliage – with a gold-dusted or glittery cherry on top. Don't miss: Brave the long lines for the salted caramel banana bundts. On Saturdays, loyal customers queue up in all weather at this artisan bakery housed in a railway arch. Don't miss: The croissants live up to their reputation (LBP insists on only using French butter), the Danishes are a close runner-up, and the naturally leavened sourdough is just wow. The prettiest, poshest cakes in all of London come from high-end boutique bakery and Instagram star, Peggy Porschen Parlour. 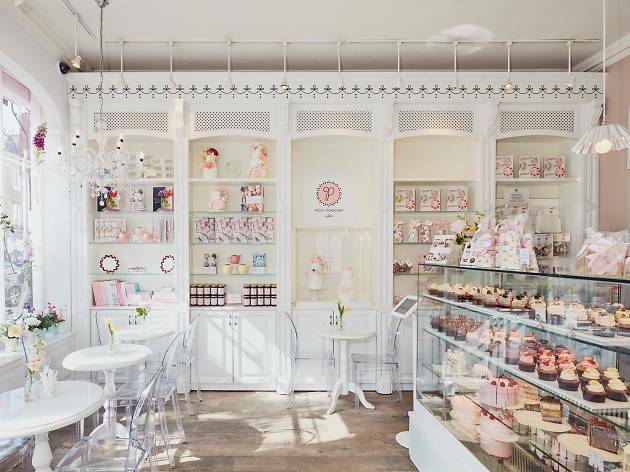 The pastel pink, floral-festooned storefront serves a ready-to-eat collection of haute couture sweets including darling cupcakes, biscuits and meringues – all ornamented with sugary flair. 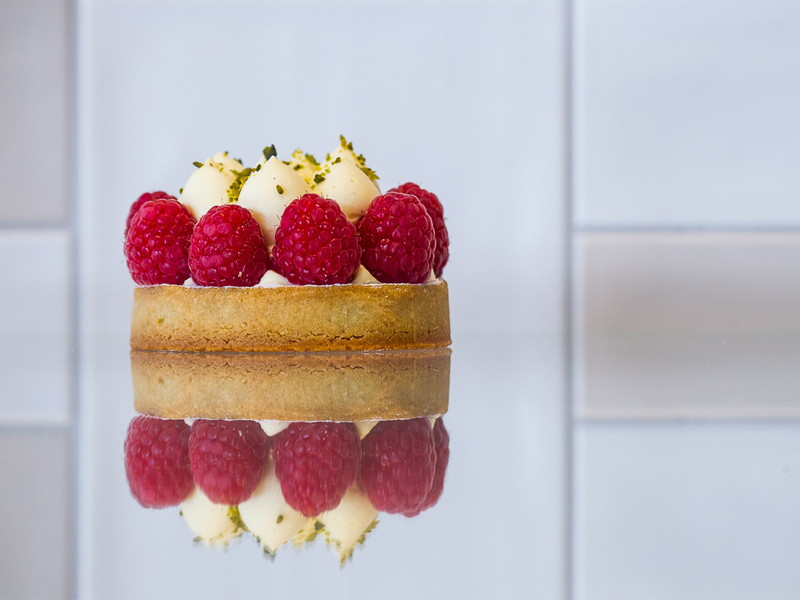 Don't miss: Not just style over substance, the lemon raspberry and rose cake looks dear and tastes divine. 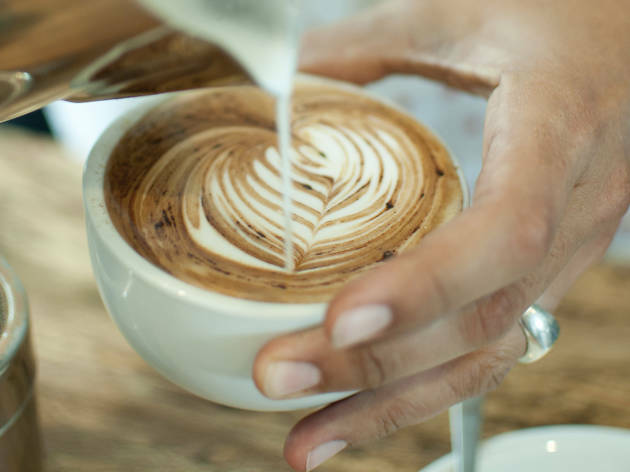 Using natural, organic, British ingredients, the bakers at St John’s take well-deserved pride in their granny-style bakes, which have evolved by fine-tuning 100-year-old recipes to best suit the times. Don't miss: Fans of Eccles cakes will delight in the St John cake’s dense filling. 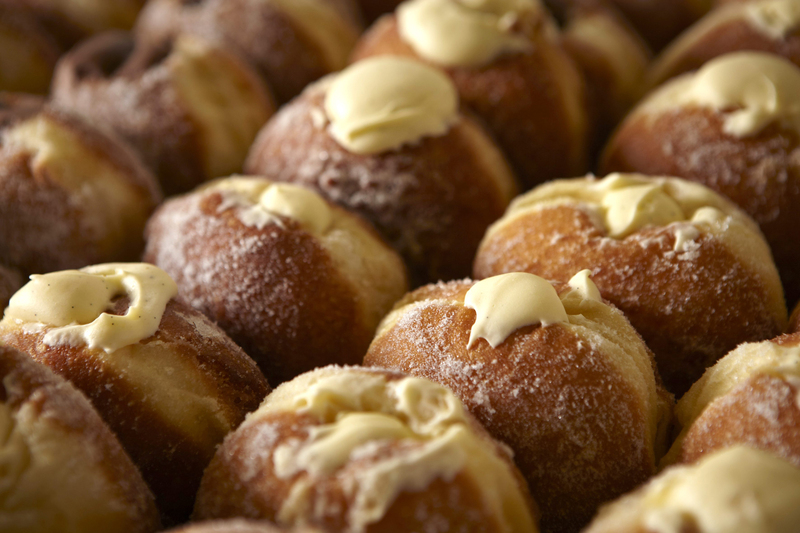 Doughnut connoisseurs will find the vanilla custard round marvels worth a weekend trip to Druid Street. The bakers who made Harry and Meghan’s wedding cake, Violet bakery has a laid-back Californian vibe that can be seen in their twee, pretty cakes decorated with real flowers. 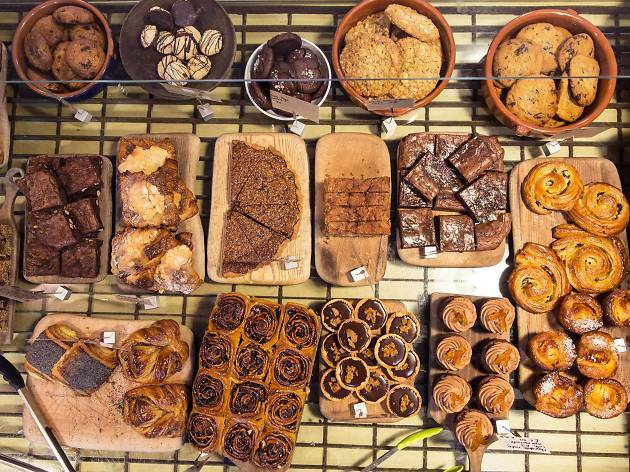 They also sell gorgeous cinnamon buns and salted caramel chocolate cake. 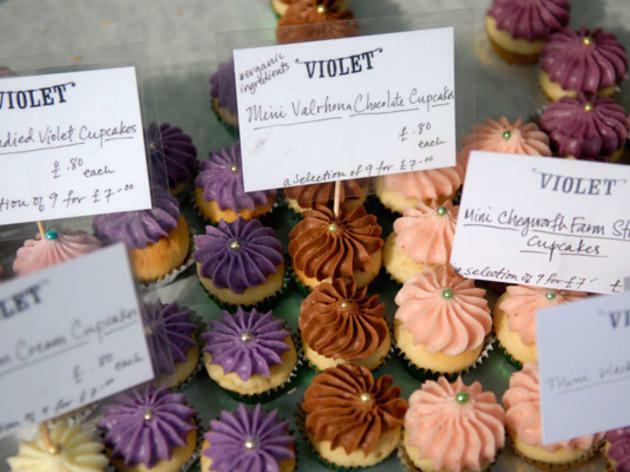 Don't miss: Sample one of the American-style buttercream cupcakes in whichever changing seasonal special flavour they’re serving at the moment (the chocolate violet is floral and fun). A small, independent The Japanese have embraced the art of French patisserie and become seriously good at it. Get your fix at this gleaming, minimal space in Ealing Broadway. 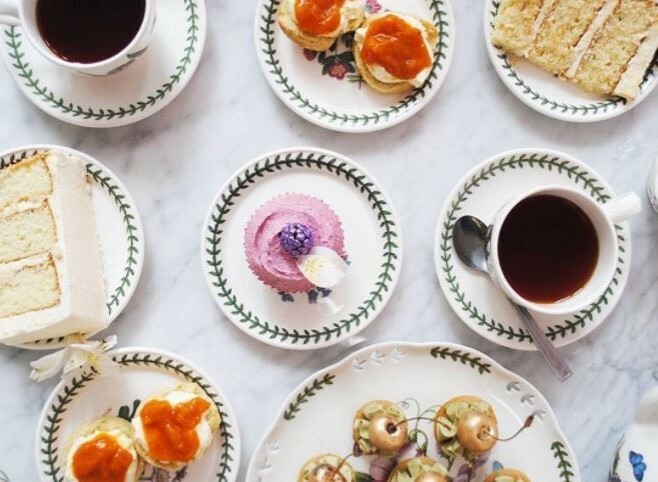 Think pristine pastries and spirals of airy matcha sponge served up on beautiful crockery. Don’t miss: Choux à la crème: light, crisp pastry, thick pastry cream laced with vanilla, black sesame or green tea. 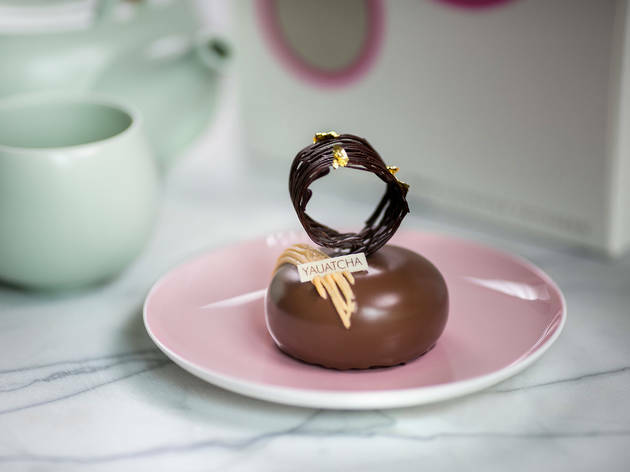 Found beneath the City branch of popular dim sum specialist Yauatcha, this Broadgate Circle patisserie specialises in fiddly French delights with a Chinese twist. Think: gateaux, choux and pretty macarons in matcha and passionfruit varieties. Don’t miss: the chocolate pebble: a wonderfully dense, textured globe of mousse, brownie, chocolate liquid and crunchy cocoa nibs. Want something steamy to go with your buns?